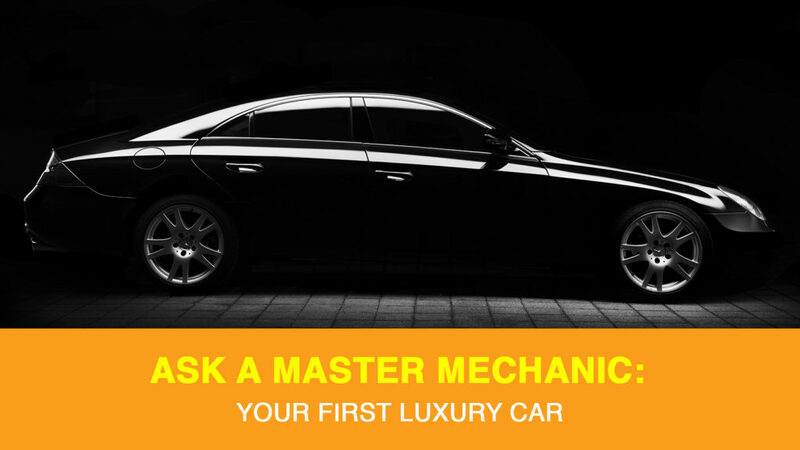 At Master Mechanic, we often see new owners come in that are unaware of the specialty maintenance and care their new luxury car requires. Don’t get us wrong, buying and owning a luxury car can be incredibly enjoyable. Before you purchase, though, make sure you’re aware of all the hidden costs that come along for the joyride. We asked a Master Mechanic why owning a luxury vehicle will cost more than standard or economy vehicle. When we pay more for something, we often expect it to be more reliable. While that may be the case with many products, all cars require routine maintenance, and there’s no way to avoid it. If you’re buying a luxury car, you can expect to pay more for things like oil changes and new tires. If we look at tires as an example, luxury cars tend to have performance or comfort tires that cost more to replace. These parts also tend to wear out more quickly in luxury cars, especially sports models. If you want to get an idea of how much routine maintenance, like an oil change, would be on a car you’re considering, don’t hesitate to contact your local Master Mechanic. If you need repairs on your luxury car that go beyond routine maintenance, you can expect to pay more for this, as well. That’s because luxury cars are often more complex to work on, can require specialty training, and can often need specialty parts to perform service. Since a luxury car costs more than other vehicles, it’s probably not surprising that it’s also more expensive to insure. It makes sense because if something happens to your vehicle, the insurance company will have to dish out more money to fix it. However, many first-time buyers don’t take into consideration that their monthly insurance will be higher. Contact your insurance provider ahead of time and budget accordingly! Some luxury cars enjoy good fuel economy, but most tout performance engines that provide the power we expect from them. Those engines often require premium fuel that will cost you more at the pump. Be sure to consider a car’s fuel economy and fuel type before purchasing. Not putting the correct fuel in your car will cause reduced performance and lowered fuel economy–something we see too often from new owners. Remember that a performance vehicle will go through a tank of gas more quickly, too. If it’s not practical to burn more of a pricier fuel, consider something with a more efficient engine. Luxury cars can be incredibly fun to drive and own. If you can afford to maintain one, it can be a great daily reward for yourself. If you don’t anticipate the associated cost, it can quickly become an unwanted headache! If you require any maintenance, or would like to get a quote, please contact your local Master Mechanic today! We’re always happy to help!